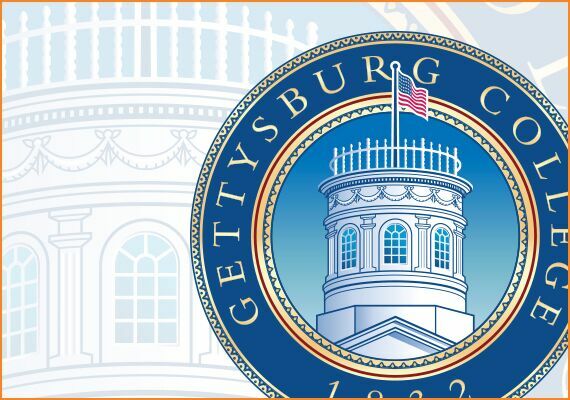 Gettysburg Seal | Cognitive Marketing Inc.
As the College approached its 175th year, consideration was given to the idea of developing a new college seal. The original one was designed, in 1834, by a hastily organized committee of the faculty, in anticipation of awarding the college’s first diplomas. It was unloved, and largely hidden from view, giving the seal almost no role to play in the visual presentation of the College. Modest alterations were done to the original seal, but never did it command anyone’s love and respect, nor convey anything about the College itself. Having completed the brand strategy, Cognitive Marketing, working with a representative committee of interested members of the College community, undertook a thoughtful design process that involved exploration of many different design approaches. In the end, the consensus of the group was that the seal should take the architectural route and utilize an iconic campus feature: the Cupola atop Pennsylvania Hall (the very same cupola that Robert E. Lee actually climbed into for a better look at what he was up against). The Cupola was rendered from an angle one really never sees it from: straight on. The US flag that flies above it has, as in real life, just 34 stars, as did the flag that flew there during the Battle of Gettysburg. And, in a nod to modernity, the name and date of founding was presented in English with Arabic numbers. Because the seal image is an instantly recognizable reminder of a beloved place in the memories of the alumni, it was warmly embraced by the Gettysburg community. Today, the new campus wayfinding system features the seal, as does too many items in the College bookstore. But the seal is now an important element in the visual iconography of the College.